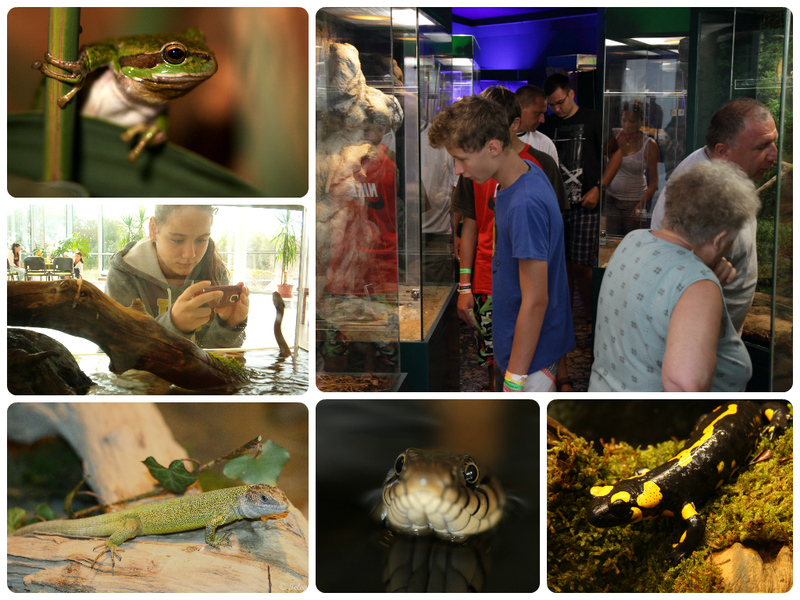 Within the walls of the Lake Tisza Ecocentre you can step into an amazing underwater world and marvel the region's native fish species in the largest fresh-water aquarium system of Europe with a capacity of over 735,000 litres on level -1 and -2 in the main building. 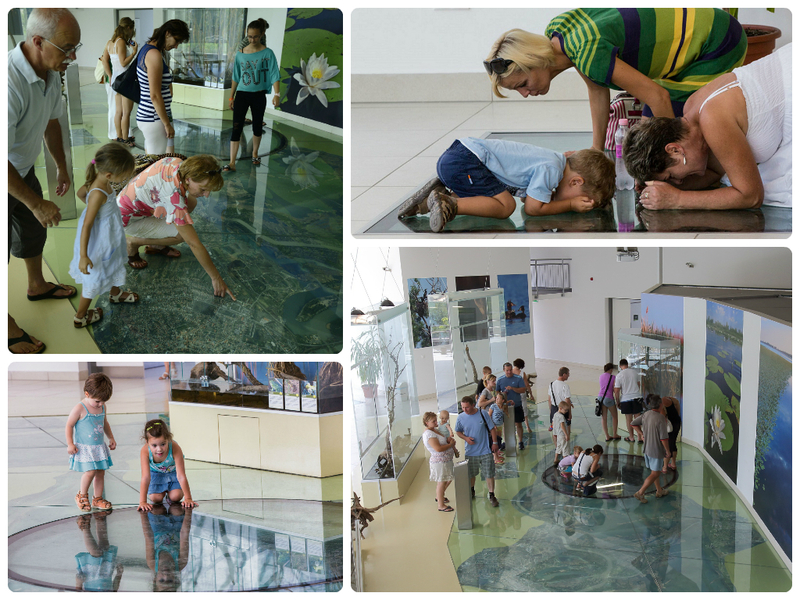 The inner aquariums are directly connected to an artificial lake next to the building, so they form a complex of huge freshwater system. You will be inspired by more than 40 native Hungarian fish species, among them pikes, wels catfish or carps. 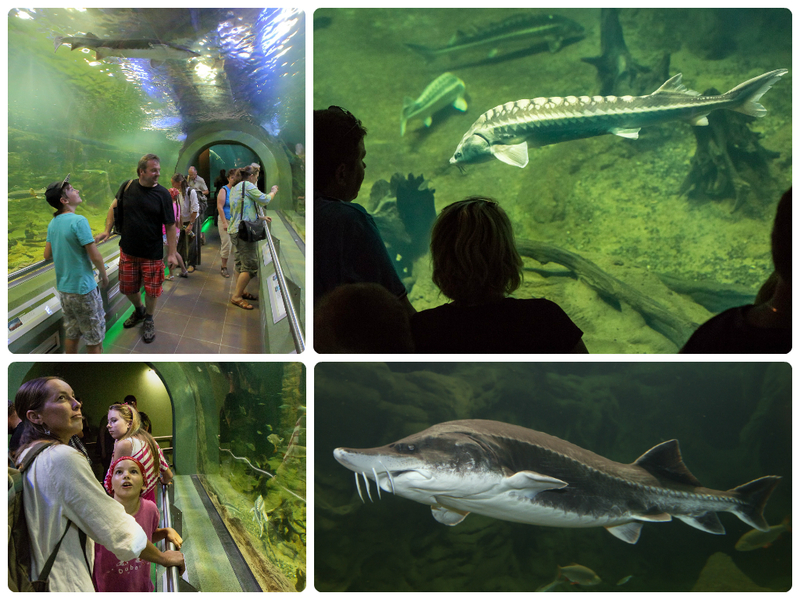 It is difficult to decide, but maybe our most spectacular inhabitants are the fishes of sturgeon family: european, diamond and starry sturgeons. 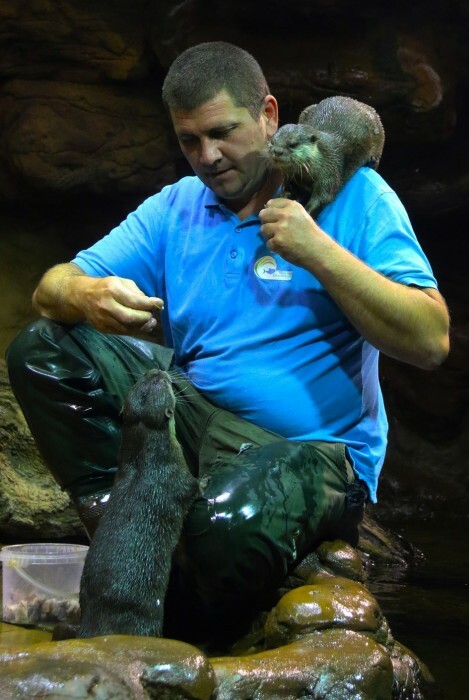 A popular entertainment programme is offered to the guests 3 times daily: the feeding of our otters quickly became a funny "theatre show"
Thanks to the solutions of the 3D technics the audience will feel like being part of the events shown on the screen and experience a boat-trip on Lake Tisza on a bright autumn day. 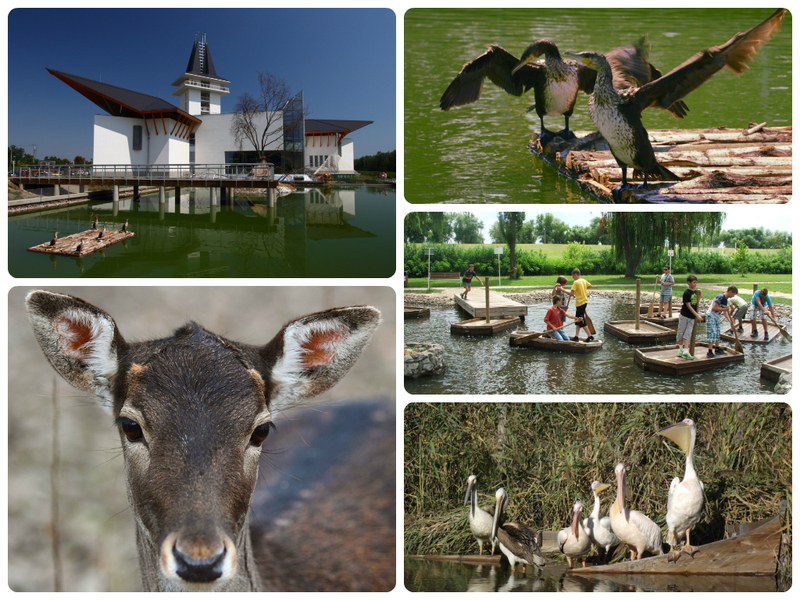 The boat takes viewers through untouched jungles of rustling reeds, goes around the Bird Reserve to glance into the life of rare and protected birds like great white egrets, herons, common coots, black-tailed godwits and show the annual mayfly swarming. Finally it presents the miraculous beauty of the lake towards evening when the setting sun paints a golden bridge over the water. 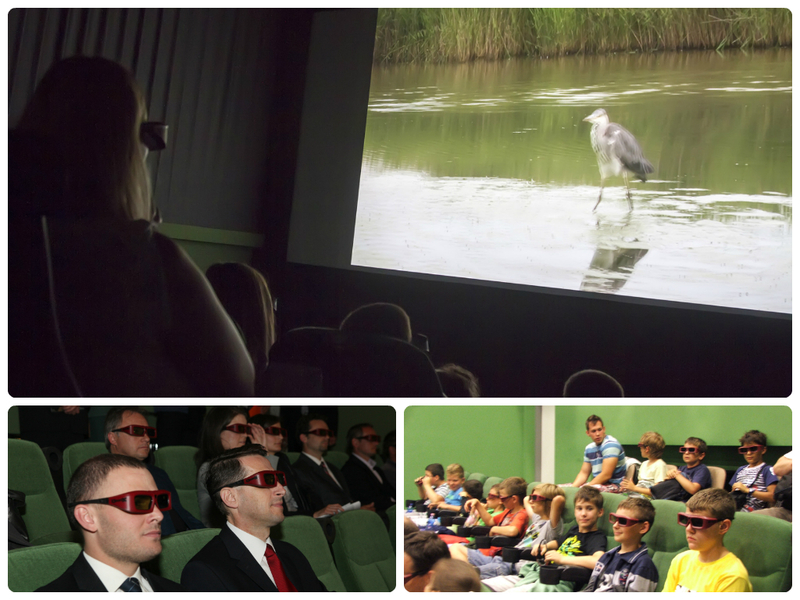 The 3D film about Lake Tisza lasts 12 minutes. Projections are scheduled to start every half-an-hour. There are no precise seats indicated on your ticket - you can take your place in the room freely in the order of your arrival. Please pay attention that you are welcome to see the film at a precise time indicated on your ticket. 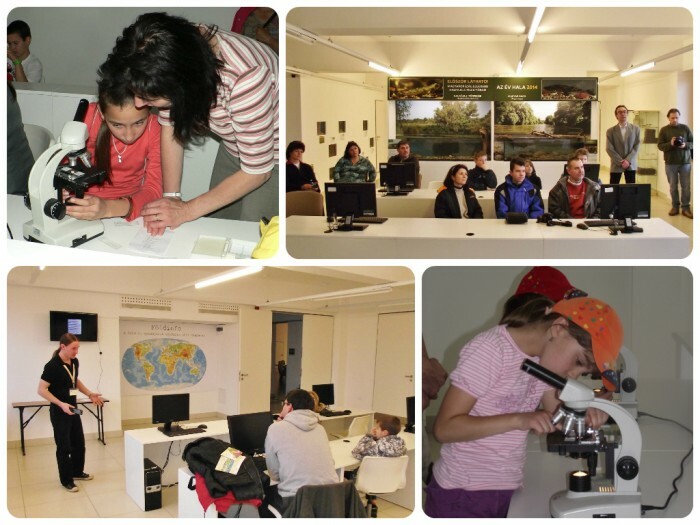 You are welcome to ask for the version with English narration if possible in advance at info@ttoc.hu or at the central information desk after arrival. "A NIGHT IN THE FOREST"
Next to the terrariums' scenes you will find a huge satellite map of Lake Tisza so as to show you around the region and locate towns and villages. The map is partly made of glass - you have the choice to observe the giant aquarium and the fishes moving around from above. It's really funny! The conference room of the Ecocentre on the first floor seats 120 guests. 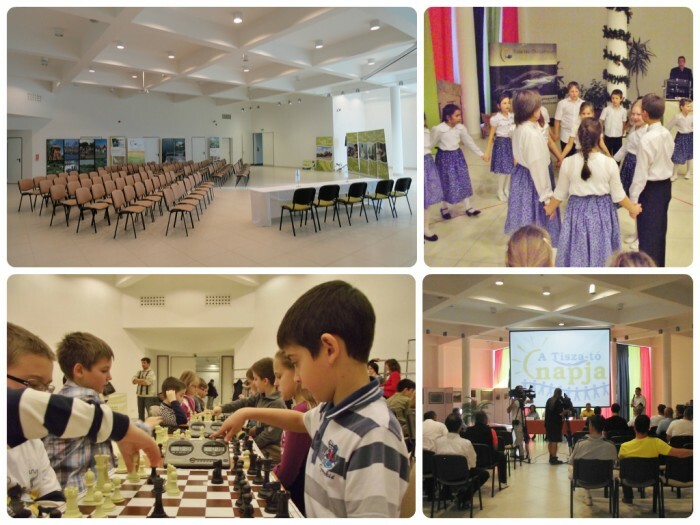 It is a suitable venue for conferences, seminars, lectures and any kind of meetings or cultural programmes with a special atmosphere. Professional audiovisual technics and equipments are available to ensure success of any social event held in these premises. In the closeness of the big Conference Hall a smaller room is also available with 10 to 12 seats for committee or presidency meetings. 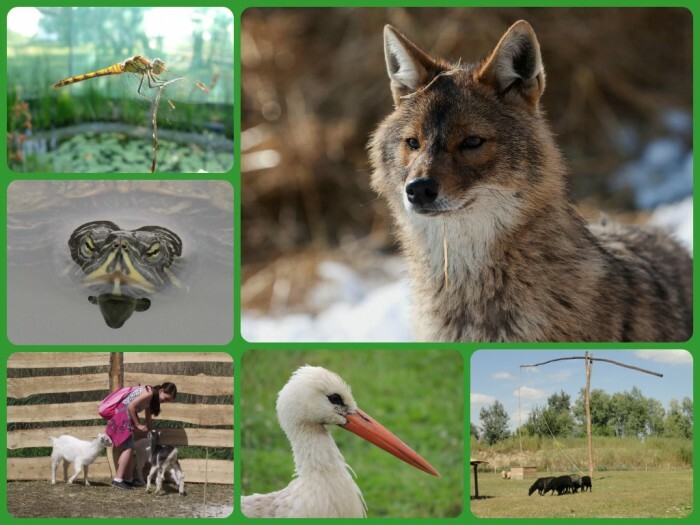 The main building of Lake Tisza Ecocentre is surrounded by a leisure park of more than 7 hectares. It was designed in the spirit of 'exploring nature'. It is not only a relaxing promenade or a zoo where visitors can closely observe animals but also an amusement park with challenging playgrounds - a real fun for families. 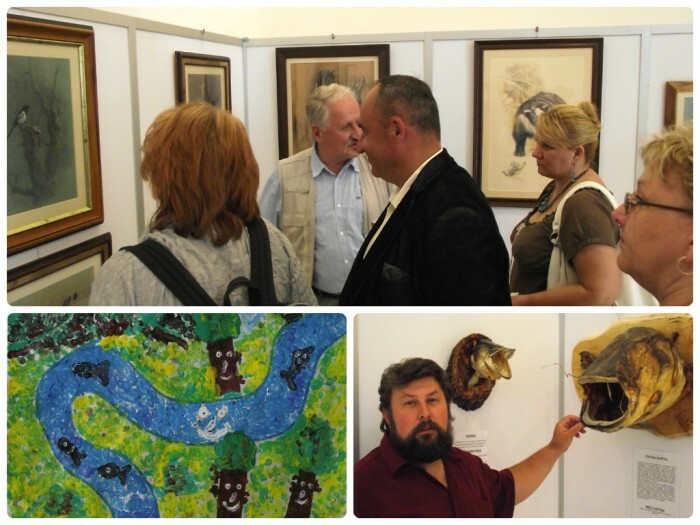 As the Local Village Museum of Poroszló also belongs to these gardens, together with a traditional poultry run and a display of old fishing tools you may participate in a short symbolic trip back to the 19th century. Please pay attention to the fact, that some of the displays are seasonal! european pond turtles - pond sliders - meet our special guest: Charlie, the african spurred tortoise (during season) - Small birds aviary (under construction) - common buzzards in a volier - red foxes - golden jackals - European badger - petting zoo with goats and sheep - watch storks in the birdpark - display of traditional Hungarian types of sheep: cikta, cigája and racka. 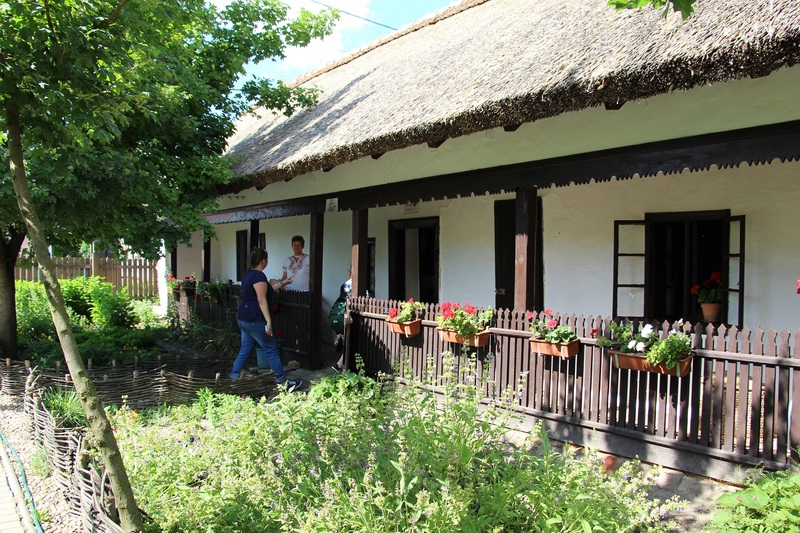 The Village Museum of Poroszló - built in 1884 - with an interesting collection of local traditions can also be found in the Leisure Park of Lake Tisza Ecocentre and can be visited with any Ecocentre ticket.